Wanna run a half marathon? Amy Williams knows what it’s like from personal experience, and for Guest Bloggers’ Week she’s sharing what it’s really like. An attorney, runner and writer in Springfield, Ill., Ann is slightly obsessed with the fads and trends in races, running gear and finding the perfect audio book for the long run. She writes a blog at www.bibsandblisters.com that focuses on the local running community in and around her area — in an attempt to articulate her fascination with the growing community of people that run for fun, and sometimes even pay to run. After a few very slow 5Ks, an unfortunate stretch of boredom and a desire to change everything about my life, I had one short moment of pure insanity and registered for a half marathon. It was New Year’s Eve and suddenly, a half marathon was my New Year’s Resolution. I filled out the registration, hit submit and made a financial commitment to run a half marathon in four months. Only after I hit submit did I wonder whether I could run 13.1 miles when the furthest I’d ever run had been 3.1. So, I did what everyone would do in that situation, I started reading every blog every written about what to expect at your first half marathon. For perhaps the same reason that new mothers don’t tell non-mothers what childbirth is really like, none of those blogs really told you everything about what to expect during the training for the half marathon. The focus was always on the race and the endorphins and how great your legs are going to look from all the running. 1. Expect to have to poop outside. Maybe you’re lucky and live in a completely urban running zone where clean public facilities are readily available. If that’s the case, I’m a little jealous, but also a little sad for you. Nothing makes you feel like you’re really a runner more than having to relieve yourself in public at mile 6, only to then have to finish your 9-mile run, if for no other reason than your car is still three miles away. 2. Expect to become the woman you hate that talks about her food incessantly. Not in a calorie-specific way, either. You will find yourself justifying that extra piece of bread because you’re “carb-loading.” Or avoiding a particular food like the plague because of what happened at mile 6 of your 9-mile run. Trail mix may be a perfectly acceptable pre-run snack for my running friends, but I will never eat it again. 3. Expect the plans you make for the four weeks leading up to the race to revolve around how much time you need for your Saturday morning long run. Happy hour with friends on a Friday night? Doable, but you will want your eight hours of sleep and to be mostly sober and well-hydrated before you fall asleep. The crazy thing, though, is that you will like this. You will become the kind of person who prioritizes the long run. You will look at the training log and know you’ve worked too hard for too long to not be at your best for the final long runs. 4. Expect the most benign dogs along your route to become enemies. On one run you are going to find yourself in the zone, effortlessly gliding down the road, lost in your great audio book or running playlist and you’re not going to see the Saint Bernard puppy until suddenly, he’s running alongside you. If you had been paying more attention to your surroundings, you would have noticed him before he startled you. Instead, your slow pace just became a sprint out of pure terror. Seriously, pay attention to your surroundings even when you’re locked in on Eat Pray Love. 5. When you think your friends and family have started to tune out the constant stories about your running, expect to be surprised. They’re listening. They’re impressed. You will know that when you see them along the race route, in the pouring rain, holding signs and clapping for you. At some point — for me it was after the 10-mile long run — you may start to think a half-marathon really isn’t that big of a deal. I did. If I could go from slow 5Ks to a half marathon, anyone could do it, I thought. Maybe. But not everyone does. Expect the moment you see your friends and your family cheering for you to make every single training run worth it. It’s not always glamorous and sometimes even a little disgusting, but nothing can stop me from trying again. Running across the half marathon finish line for the first time and into the congratulatory hugs of my family was the defining moment of my 30s. 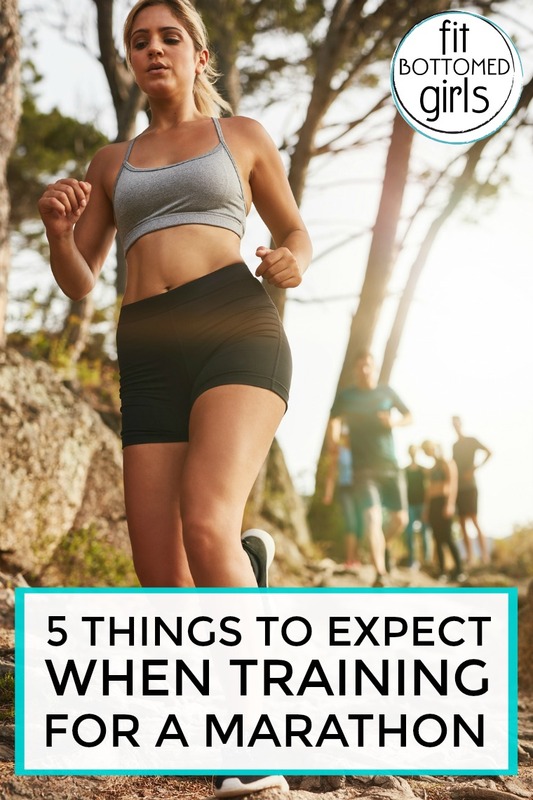 Instantly, I started to forget how much I hated running some days, how cold the winter training months had been, and how scared I had been of that Saint Bernard puppy and trail mix. I knew, instantly, that I wanted to do it again. Great article!!! A little rain doesn’t stop us from cheering on our daughter!!! Love you and your running !! Personally, if I were there I also expect those five things mostly a ”Poop Outside” and off course cheering from my nearest persons. Even everyone will be agreed with those expectation. Where marathon is a long way to go it should have a pleasant outside.And thing most need is inspiration from friends & families, without this its hardly possible to conquer the marathon. Finally, it’s a pleasure to see something about Fitness here. expect to take it slow is my advice, i rushed into it and i had shin splints nearly every time i run from doing too much. take it slow and you will reap the rewards. Great article. Love to read the healty piece of information shared by you. Awesome article. Thanks a lot. Thanks for the tips and advice. I am getting myself prepared for a marathon in September, will keep this article in mind as I continue my preparation. Your blog reminds me of the quote “If it doesn’t challenge you, it won’t change you”. Marathon is challenging, we had a different reason why we run. But the best feeling is finishing the finish line. I do join marathons few times too, and i enjoy it. Great article so far.